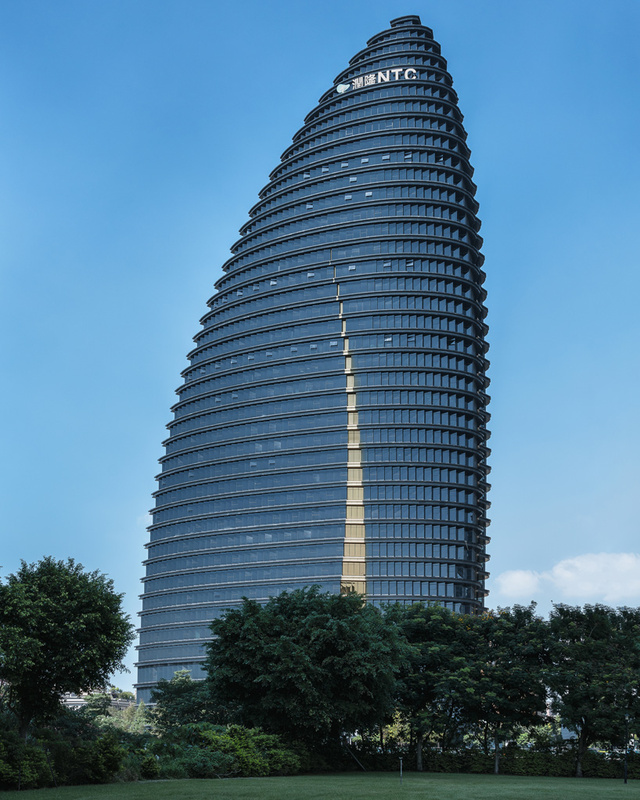 Aedas is one of the world's largest global architecture and design practices. founded in 2002 by keith griffiths, the firm now has offices in london, hong kong, beijing, chengdu, ho chi minh city, macau, shanghai, singapore, los angeles, seattle, abu dhabi, dubai, and new delhi. 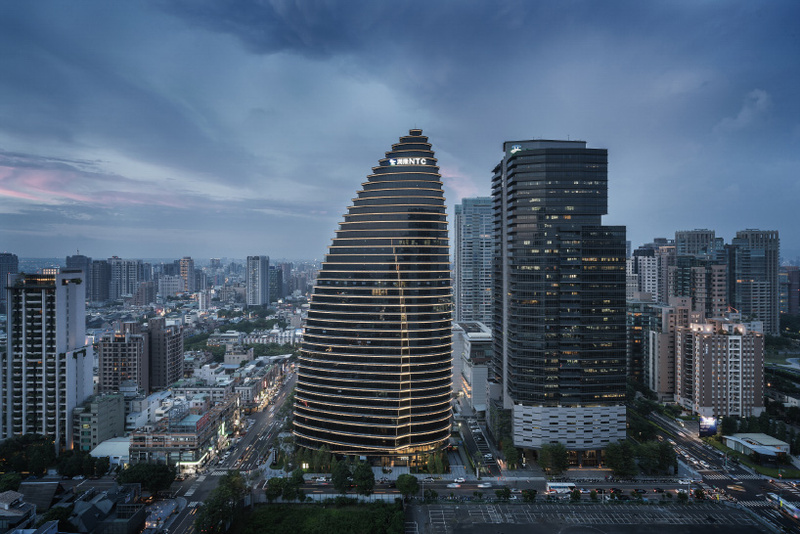 international architectural firm Aedas has completed a 165-meter tall office building in taichung, an industrial city on the western side of central taiwan. 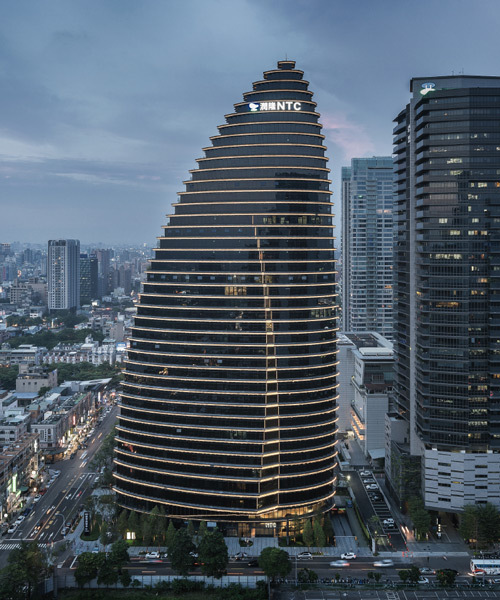 situated within the city’s emerging central business district, and adjacent to its opera house and city hall, the form of the ‘national trade center’ mimics the silhouette of a bamboo shoot — a plant commonly found in taichung, which symbolizes prosperity in chinese culture. 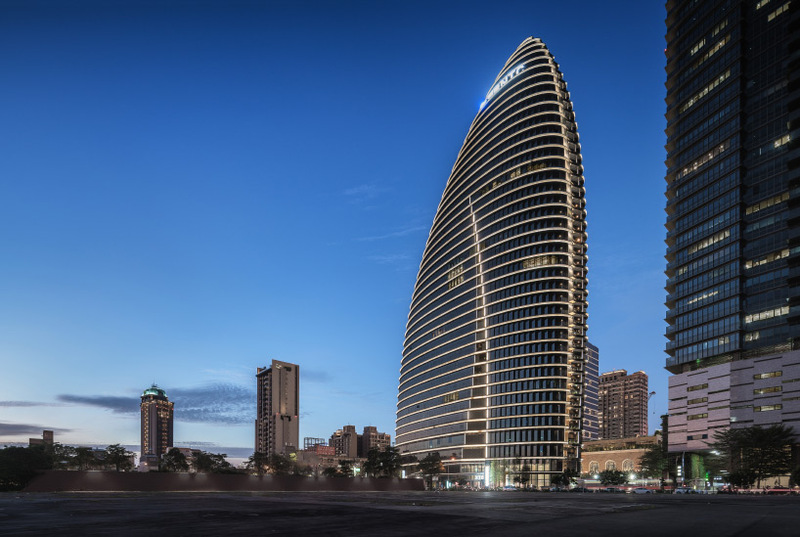 the building’s faceted façade undulates with horizontal awnings with rain covers and window-walls to emphasize the structure’s distinctive curves. meanwhile, the elliptical shape allows maximum light to penetrate into the offices. 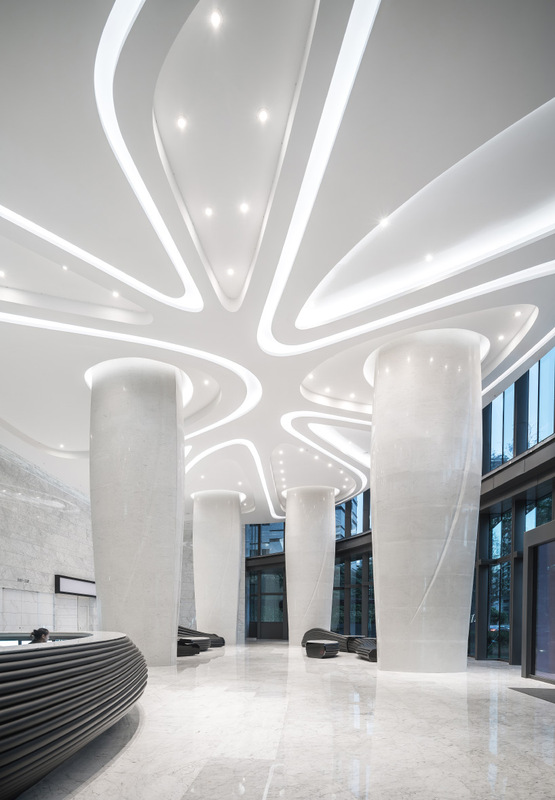 internally, Aedas used different shades and tones of grey, together with lights and reflections, to establish different atmospheres, while creating a sense of neutrality and calmness. over time, green terraces will begin to populate the building’s east and west façades, as well as the rooftop. balconies on each floor provide outdoor space, daylight, and views. 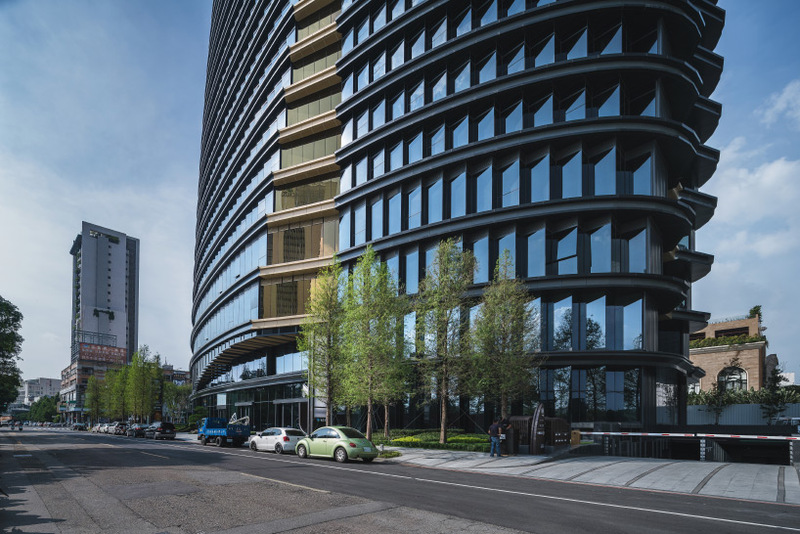 closer to the ground, two podium floors contain public amenities such as banks and food outlets, which have been designed to activate urban life on lower levels. ‘this design is deemed to enrich the city skyline while celebrating a cultural symbol,’ say the architects.